Being generous and donating to charity is always a noble action. However, before you reach for your checkbook, it's important to take some time to research where your money might be going. 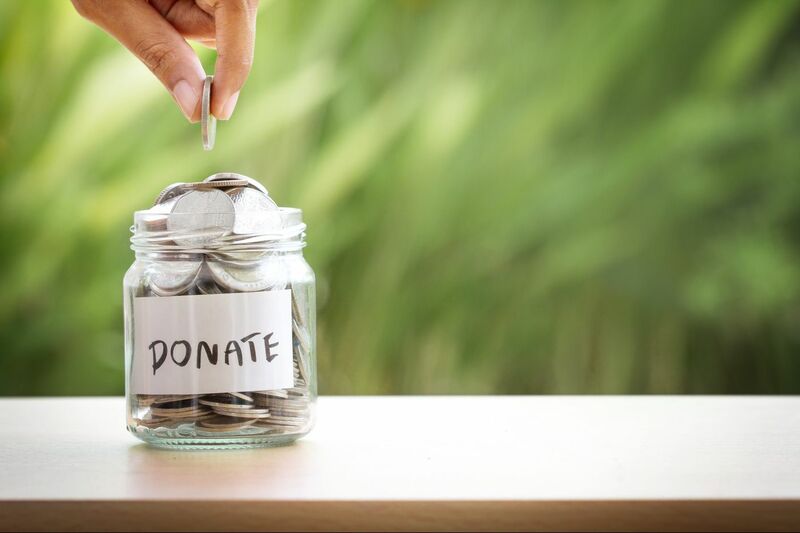 Not all organizations found online are trustworthy, and as the recent Johnny Bobbitt Jr. GoFundMe story has shown, there are few protections when it comes crowdfunded giving. Learn how to give in a way that's responsible by using the tips below. All are designed to help ensure that any hard-earned bills you choose to donate truly get put toward a good cause. The first step in the process is to identify what issues matter most to you. Are you passionate about the environment? Do you wish you could help find a cure to cancer? Are you interested in animal welfare? Do you dream about fighting world hunger? The list of charity options span wide and far, so start by thinking about what topics resonate most with you in your own life. If you're not sure where to begin, check out Forbes' list of Top 100 Largest U.S. Charities, which will enable you to take a glimpse at the wide array of subject matters that different charities address. Once you've selected an area of focus, it's time to start narrowing down the list of charities that fall into that category. This is where the true research begins. First, make sure the charity of your choice is an actual charity — in other words, it's listed as a tax exempt 501(c)3. The IRS makes this easy with its Tax Exempt Organization Search. If the organization is indeed a 501(c)3, then you will be able to receive a deduction come tax time for your donation. Next, look into where your money is likely be spent within an organization by using Charity Navigator, a website that rates thousands of charities and enables you to see how each divides its budget. Choose a charity that puts less than half of its total costs toward administration and fundraising expenses and instead spends a significant portion of its budget on program expenses. This way you can confirm that your gift is going directly to the mission you set out to support. Another good website to check out is CharityWatch.org, which similarly rates thousands of charities. Charity Watch also compiles a "Top-Rated Charities" list, which takes into account an array of grading factors including whether or not a charity spends 75 percent or more of their budgets on programs and $25 or less for every $100 it raises in public support. If you already had a charity in mind but it unfortunately didn't earn a high rating, the site makes it easy to find other comparable organizations through its "Find Charities in the Same Category" feature. While donating to a newcomer charity isn't necessarily a lost cause, longstanding charities present less of a risk. Over time, the track record of an organization naturally becomes lengthier and more detailed for you to examine. If you do choose to support a charity still in the startup stages, there's a higher chance that a larger percentage of your money will go toward administration expenses versus the charity's mission. However, every new organization needs to start somewhere, so if you truly believe in a foundation's goals, take the time to ask questions about the direction it seeks to go. Learn firsthand about the goals, challenges, and accomplishments of a charity by speaking with a charity in person or on the phone. It's important that the staff is able to communicate these areas with you clearly. Make sure that the charity has concrete plans for the future so that you know your money will help plant the organization in a positive direction. If a charity is unwilling to chat with you, consider whether or not it's worthy of your support. It's also helpful to ask around and see what others are saying about a specific organization. Beyond friends and family, a good source to check out is GreatNonprofits (greatnonprofits.org), which acts as a kind of Yelp of the charity world. Here, you can read reviews written by fellow donors, volunteers, and other beneficiaries. Once you feel confident in a charity, consider committing to it for at least a few years and perhaps volunteering at hosted events if the opportunities arise. This will build your relationship with the organization and enhance the feeling that your donations are making a difference. The longer you continue donating to an organization, the more you'll be able to follow its progress and watch new successes unfold. Crowdfunding platforms like GoFundMe and Kickstarter present a great way to give to individuals — versus organizations — that could use financial assistance, but how do you know if a campaign is legitimate? Unlike with charities, you can't head to Charity Navigator to find out whether an individual is responsible or not. You can, however, get a sense of whether a person is accountable when it's someone you know personally. With crowdfunding platforms, abide by a one degree of separation rule: If you're not donating to someone you know directly, make sure it's a person for whom either a friend or family member can vouch. If you do feel compelled to donate to a stranger, don't be the first one in line to whip out your wallet. Wait until there are plenty of comments that you can read in the comment section to get a better sense of the campaign and of who the individual is that you are backing. Even in instances in which you know the crowdfunding campaign creator, it's your call to use your best judgment.